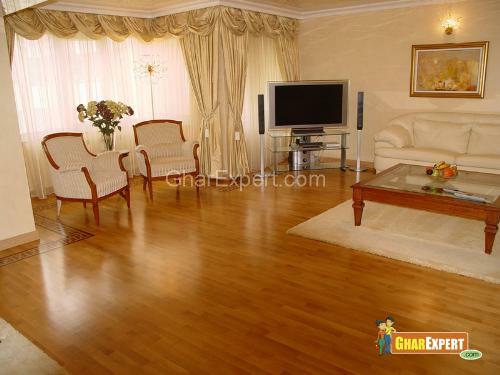 Traditional interior offers classy, impressive and peaceful environment to your home. Interior décor of Traditional style might look classic or outdated yet this style is focal point for its fabric that’s neither too shiny nor too textured. The fabric with floral pattern, mid-range tone colors, geometric patterns and muted plaids with strips is just comfortable. 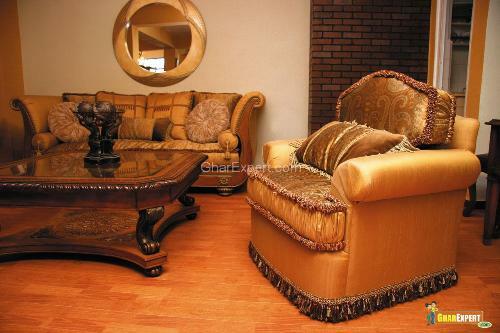 In fact Traditional inetrior is elegant and gives uncluttered look to the furnishing of your home. A few aspects of traditional interior are following. Wooden furniture is focal point for traditional interior and Redwood, Antique, Oak, Mahogany, dark wood furniture is very stunning. The furniture is in pairs and can be placed at the centre of room. 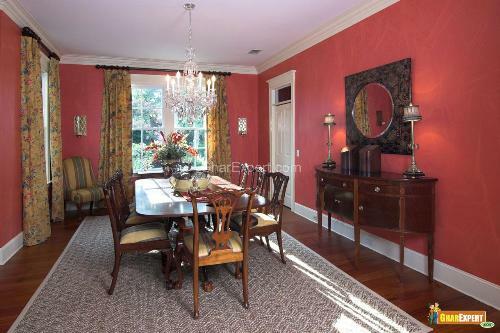 Rectangular table with matching chairs is used in dining room. In traditional interior the furniture is blend of straight and light curved lines. The use of rich colored and luxurious fabrics like silk, damask, leather and velvet gives a classy look to your upholstered furniture in traditional interior. The fabric used on traditional furniture is just comfortable and flowery and offers a soft feel. 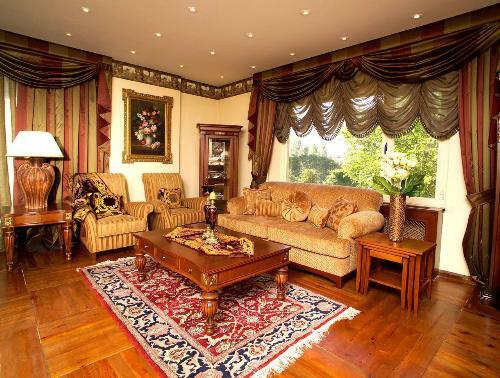 Jute and velvet fabrics are also used for carpets in traditional style. Wooden flooring known for its craftsmanship is always recommended to offer traditional look to the entire house. A carpet is an essential element of traditional interior. Oak, cherry, mahogany woods are used for traditional flooring. 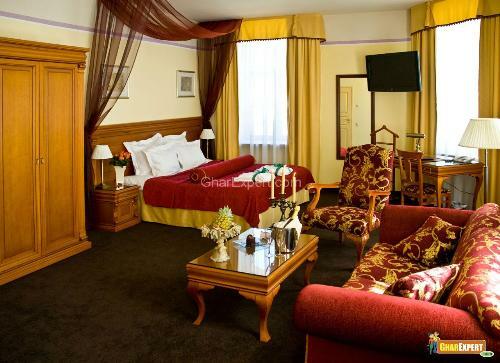 Curtains with decorative poles give dramatic look to the room in traditional interior. Valance, jabot, swag are some popular styles of curtains. Swag curtains create a royal look and help to cover window in decorative way. 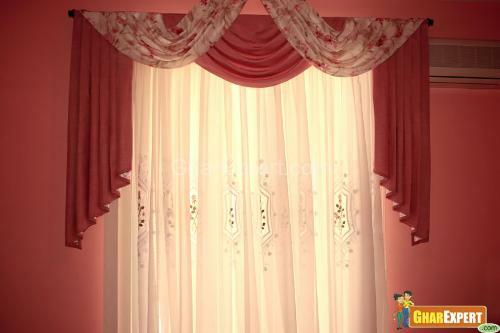 Valance curtains give traditional feel and look very beautiful. You can also decorate curtains with tie-backs matching up with curtain poles. Wall sconces, decorative chandeliers, lamps with silk shades and floor lamps offer a classy, elegant and traditional lighting to the room. Ceiling lights in dining room and drawing room give traditional look to the rooms. Natural and white shades of lighting enrich the prettiness of any room in your house. The colors of mid tones are used in traditional interior. Color for flowery fabric is based on light and dark color layers. The colors such as cream, tan, white, gray, blues, red, yellow and green are mostly used in traditional style. Paintings, wall hangings, mirrors, statues, sculptures and other decorative items are essentials of traditional style and add grace to the interiors of rooms. 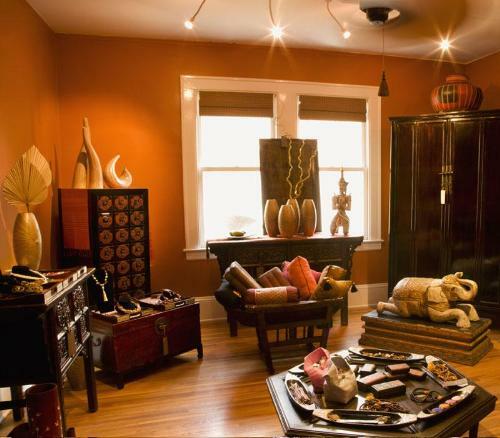 They offer an artistic and appealing ambiance. Wall accents enhance liveliness of the room as well as your house.